Engage with other advocates by sharing your stories, writing a blog, joining a forum and exchanging ideas. 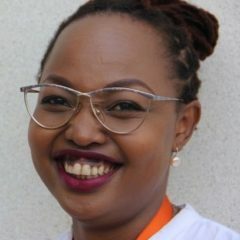 Ms. Vania has great experience in policy advocacy, policy development, regional and international human rights law, legal research and analysis, advocacy strategy and implementation, media and communications strategy, partnerships and movement building in the global south. Would you like to engage more with the advocacy community? Get published or moderate a forum?